The WordPress 5.1 Beta 2 is now available and ready for testing! 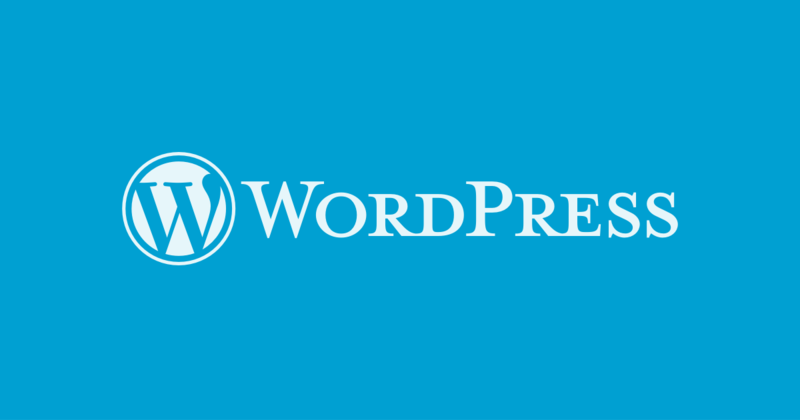 The WordPress core team is reaching out to WordPress users and encouraging us to set up a test site using the Beta version in an attempt to ensure they meet the WP 5.1 release that is tentatively scheduled for February 21st, 2019. As a reminder, Beta software is still in development, so expect bugs and pass your findings along. Beta versions of WP are not recommended for use on sites that are already live. If you would like to try the Beta in a test or development area, there are two ways to test the WordPress 5.1 beta. Download the beta zip file here. Gutenberg 4.9 is a big milestone in terms of performance improvements for Gutenberg. It introduces a new asynchronous mode for blocks rendering improving the responsiveness of the editor. The Docu? WordPress 5.1 will feature a new parameter for register_taxonomy(), ?meta_box_sanitize_cb?, which increases flexibility when using core UI for custom taxonomies. Custom taxonomies can s? The following is a summary of the weekly Privacy office hours that occurred on January 16, 2019. A full transcript can be found here in the #core-privacy room in the Make WordPress Slack. Attendees? WordPress 5.1 sees a number of developer-focused changes to the Cron API. These changes were discussed and made in #21072, #32656, #45797, and #45976. Meaningful return values Prior to WordPress 5.? The following is a summary of the weekly Privacy office hours that occurred on January 23, 2019. Weekly privacy office hours are held every Wednesday at 19:00 UTC. A full transcript can be found he? This post summarizes the weekly REST API chat meeting on January 24, 2019. (agenda/notes, Slack transcript). Weekly REST API component office hours are held every Thursday at 18:00 UTC in the #core? Over the weekend, many WPML customers received an unauthorized email from someone who claimed to have hacked the company?s website and gained access to customer emails. WPML founder Amir Helz? WordPress 5.1 Beta 2 is now available! This software is still in development, so we don't recommend you run it on a production site. Consider setting up a test site to play with the new version. Gutenberg phase 2 development is underway and one of the first orders of business is porting all existing core widgets to blocks. This task is one of the nine projects that Matt Mullenweg outlined ? This week marks the first public release of WooCommerce?s new mobile app for Android and the improved version for iOS. WooCommerce began beta testing the Android app late last year and the or? In this episode, John James Jacoby and I are joined by Morten Rand-Hendriksen and Rachel Cherry to discuss the WordPress Governance project. We discover why it was created, its goals, and how it ai? Here’s what Matt read in 2018, in chronological order of when he finished it. Do you see any favorites? How about recommendations? Last year, our end of year survey revealed that we were losing a lot of subscribers because we had not segregated our list well enough. One of the areas we identified as a segment that our visitors wanted was a list made specifically for our Network News. We are happy to report that OwnWP has separated the Network Newsletter list from our master list. If you’d like to be on our Newsletter list (1 email per month only) please use the button below to subscribe. In addition to the button below, we will be sending out the link to our Slack group subscribers at the end of January 2019 to afford those subscribers an opportunity to join the new Network News newsletter subscription. Last week we held a Business Growth webinar. Part of our Member’s benefits with this webinar includes the webinar replay and a Business Growth Report. Within the Member’s Area, access to the entire 12 module course will also be made available (one module released each month during 2019). To sweeten the deal, we have also added a Business Growth Spreadsheet to track your business growth during the year. Wouldn’t it be awesome if 2019 would the year that we make leaps in our freelance business’? Well, we found a program that many of our core members are planning to attend, that we believe may be the program to help us all make that happen! So, let’s make 2019 the year we get focused and see even more success and growth in our businesses, no matter how busy our schedules are. Sign up today and participate alongside OwnWP during this year-long event. This course will provide a proven process for productivity, client relations, and marketing. And the best part about this program is that it is only $29/month (12-month program) or $289 for the entire course (pre-paid gets 2-month pricing discount). Learn More – Join the FREELANCER’S LEAP YEAR Now!